The animals are believed to be suffering from a viral disease known as distemper. NBC 5's Patrick Fazio reports. As police investigate reports of "zombie-like" raccoons in northeast Ohio, Cook County experts say such sightings are also unusually high in northern Illinois. The animals are believed to be suffering from a viral disease known as distemper. 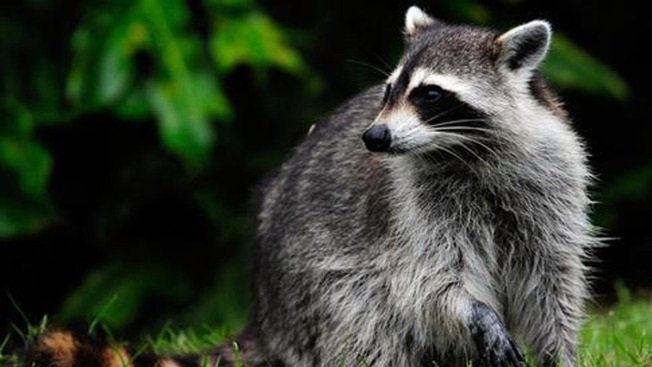 Donna Alexander, the aministrator for the Cook County Animal and Rabies Control, said the latest necropsy report for 2018 showed 43 percent of raccoons evaluated had distemper, an unusual spike for the county. The highest spike on record in the county came in 2016, when 45 percent of raccoons showed positive for distemper. "It’s very serious for the raccoon and it’s very serious for the companion animal population as well," Alexander said. WKBN-TV reports Youngstown police have received more than a dozen calls in the past three weeks about raccoons acting strangely in the daytime. Photographer Robert Coggeshall said he was playing with his dogs outside his home last week when one such raccoon approached them. Coggeshall says the animal would stand on its hind legs, show its teeth and fall over backward. The raccoon Coggeshall saw and 14 others police responded to were euthanized. The state Department of Natural Resources says the animals were likely suffering from distemper, not rabies. The viral disease causes coughing, tremors and seizures and leads raccoons to lose their fear of humans. Authorities are asking residents to report raccoons behaving unusually to their local police station. Last year, police in Hanover park reported sightings of "zombie" coyotes, which were infected with sarcoptic mange.